Are you tired of the long commute? 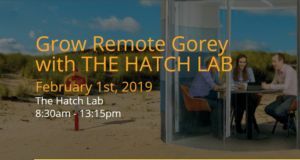 The Hatch Lab in Gorey is to host an event to discuss the future of work and why remote working benefits businesses and their people. On February 1, Gorey will host a major flexible working event at the HatchLab. 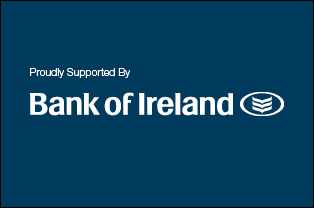 The event, sponsored by Bank of Ireland, will help businesses, big and small, understand how they can implement flexible working policies to benefit them and their staff, and thus support talent acquisition and retention. Long and stressful daily commutes affect not just workers but also their employers. Business owners are increasingly willing to encourage remote working as it has a positive impact on productivity, profitability, staff morale, recruitment and talent retention. For remote workers, the key challenge of working from home can be isolation. This has driven the emergence of a multitude of co-working spaces that act as ‘satellite’ offices and offer a structured and supportive remote working environment ‘without the commute’. The Hatch Lab in Gorey is one such workspace. The Hatch Lab, a partnership between Wexford County Council and Bank of Ireland, offers an incubation space for startups, as well as a supportive co-working space and/ or a remote office for individuals and businesses. According to a report from Blueface, 78% of businesses have implemented some form of remote working policy to-date. It’s projected that by 2025, remote working will rival fixed office locations. Organisations that don’t offer flexibility will lose talent. SMEs are struggling most, and for the first time, the SFA report that access to talent is the biggest challenge for Irish SMEs. So why have all organisations not made this transition? Key barriers for employers include concerns over reduced productivity, uncertainty around how to measure remote work output, uncertainties around the benefits to the wider organisation, and data security issues. Is your organisation ready for a flexible future? The event at the HatchLab on February 1 will discuss the key barriers and benefits of flexible working and help large and small organisations understand how they can embrace a flexible future, and maximise the benefits for them and their organisation.